Swet Shop Boys’ new EP Sufi LA is a showcase for MC Himanshu Suri and is altogether stronger than their debut Cashmere. 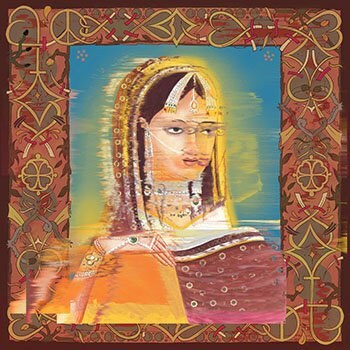 On 2016’s Cashmere, Swet Shop Boys, consisting of MCs Riz Ahmed and Himanshu Suri (Heems), along with producer Redinho, made a strong postmodern hip-hop album that explored South Asian identity amid the current cultural climate. With lyrics that frequently referred to the vacillating tendency of the ruling class to demonize and fetishize their respective cultures, Ahmed and Suri were able to create a unique space the coupled woke rhymes and funny asides for the album’s 36-minute running time. Still, as strong as Cashmere was, there was a clear sense that Swet Shop Boys were still in the process of finding their tone. As much common ground as there was between Suri and Ahmed, they sounded like they were going for different ends too much of the time -- with Suri pushing the cloud rap improv thing while Ahmed hit each track pretty straight-on with his grime-inflected flow. For their follow-up EP Sufi La, Swet Shop Boys said that they are leaving "the political for the party", resulting in a five-song stretch that finds the MCs creating a synthesis that’s more coherent in its looseness and fun than its more serious-minded predecessor. For the most part, Cashmere was a startling introduction to Riz Ahmed's rapping skills. Mostly known as an actor, Riz was able to prove himself as an MC through his intensity and his unique lyrical perspective that could just as easily support B-boy trash talking as well as references to Homer. His rapping on Sufi La is uniformly strong too, but it's imbued with a levity via Fred Flintstone "Yabba Dabba Doo" quotes and self-aware groaners like "I used to be unruly / Now she turned me into a foodie" on "Thas My Girl" -- which itself is a reference to Brandy and Monica's "That Boy Is Mine" with a little sprinkle of R. Kelly and Usher's "Same Girl".